The central and state educational boards are done with their annual exam season and gearing up to declare the results. 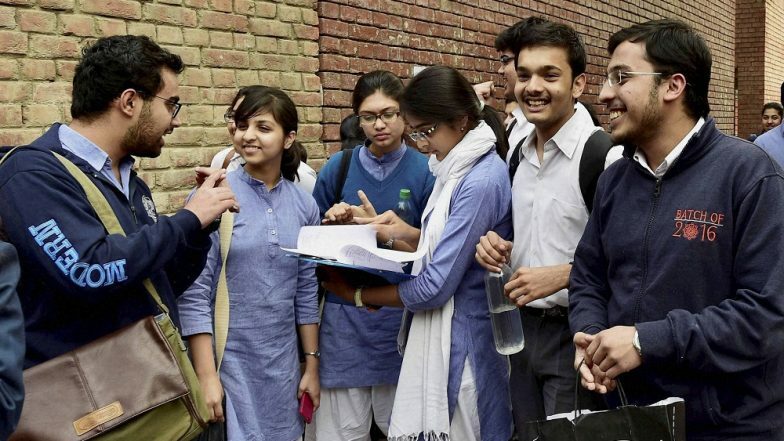 While most of the boards have initiated the evaluation process, it has been reported that the Uttar Pradesh Board of High School and Intermediate Education is likely to announce it's class 10 and class 12 board exam results 2019 next week. However, it shall be noted that there is no official confirmation on the same as yet by the UP board. Hence, students are advised to keep a tab on the official website of UP board; upresults.nic.in. In this article below, we have provided the list of sites to check UP class 10 and class 12 scores. Tamil Nadu DGE Likely to Announce HSC Scores on April 19. A UP board official has reported that the results of class 10 and class 12 board exam 2019 will be declared between April 22 to April 24, but a confirm date is yet to be revealed. This year, UP board conducted its board examination in the shortest period. While the class 10 UP board matric exams ended in 14 working days, the class 12 board examinations concluded in 16 working days. KAR PUC II Class 12 Declared at KSEEB Board Website. Apart from the official websites of Uttar Pradesh board, other third-party online platforms such as examresults.net, indiaresults.com will also host the class 10 and class 12 board examination results. How to Check UP Board Exam Results? 1. Visit the official website; upresults.nic.in. 2. Once announced, you will come across a link stating UP board class 10 or UP Board class 12 results 2019. 3. Enter your roll number and other required details in the space provided. 4. On submitting the same, the UP board results will be displayed on the computer screen. 5. Download and take a print out of the scorecard for future reference. UP board class 10 exams were conducted from February 7 to February 28, while the intermediate class 12 examinations ended on March 2. According to the official release, more than 58 lakh candidates had registered for the board examinations this year, and more than 8 thousand schools have been made as exam centres.